You can run Win4D Advance or WinTOTO Advance on the Windows Tablets. Recently the price of the Windows tablets has drop by almost 15%. 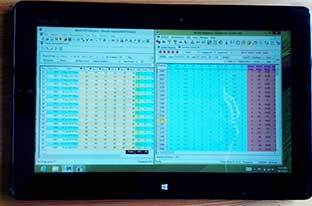 It is very convenient to bring along the tablets, use it when you on MRT or Bus, do some analysis on the move. The ASUS Vivo TAB Smart 10.1 inches is one of the cheap and good to carry along. Now the tablets is selling at $599. If you want, we can get this for you and we can help you to install the Win4D and WinTOTO for you, just Call 92300837 for enquiry.